Spacer bands are required to be fitted between dual demountable rims to provide the recommended minimum dual spacing for each tyre & rim combination. 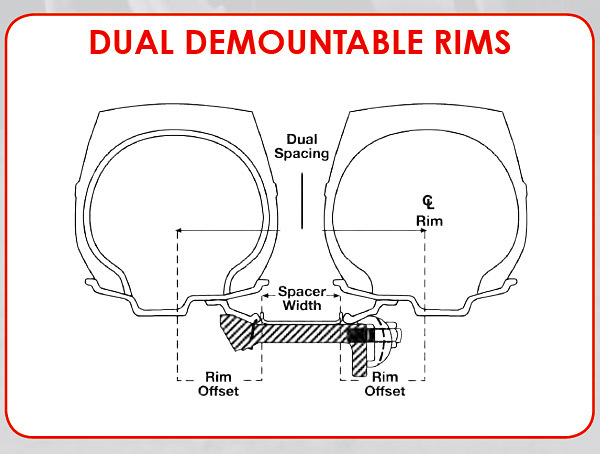 The correct size spacer band will ensure that proper minimum dual spacing is achieved. Spacer bands are available in either flat channel or corrugated channel types in 15" or 20" sizes.